When I show people, from out of town, around the city I always take them to the Carew Observation Deck. 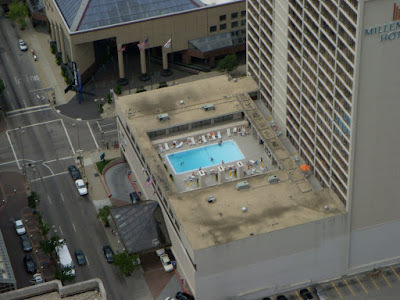 From there almost 100% of the time people are fascinated with the rooftop pools that you can see from up there. Especially if they're not from another large metropolitan area.